Soon after I discovered her YouTube videos and totally fell into the black hole known as beauty vlogging. From there I discovered Tanya, Suzie, Amelia, Anna, and more and thats when I noticed a significant shift in the content of my own blog. I had always thrown in a beauty post here and there to the mix and if you walked into my bathroom you would definitely see my obsession, but watching and reading girls helped me realize that what I was truly passionate about in the blog world was beauty. So when Zoe announced she was releasing a line of beauty products I jumped at the chance to snag some. 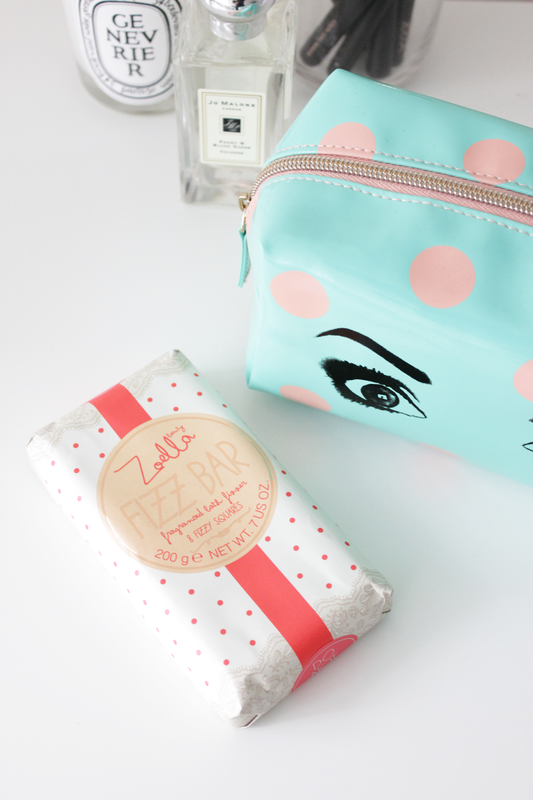 I was lucky enough to snag the "Zoe Eyes" makeup bag and the highly sought after Fizz Bar. Sadly, the "Let's Glow" candle was already sold out in the few hours the line had been released. Shaped like a piece of chocolate, the Fizz Bar is an adorable bath product that smells heavenly. Scent is a big deal, and Zoe really did this one well. It is light and clean and by no means over powering. Sunday night I spent a full hour in the bath after watching two of the little cubes fizz away. As for the makeup bag, it couldn't be cuter and will be coming with me on all travels here on out. The bag actually holds makeup brushes really well. 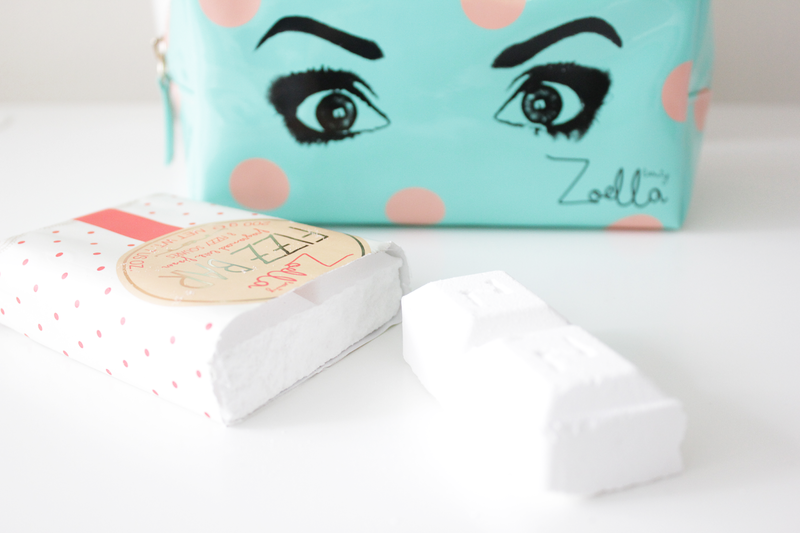 The true test of any beauty bag! 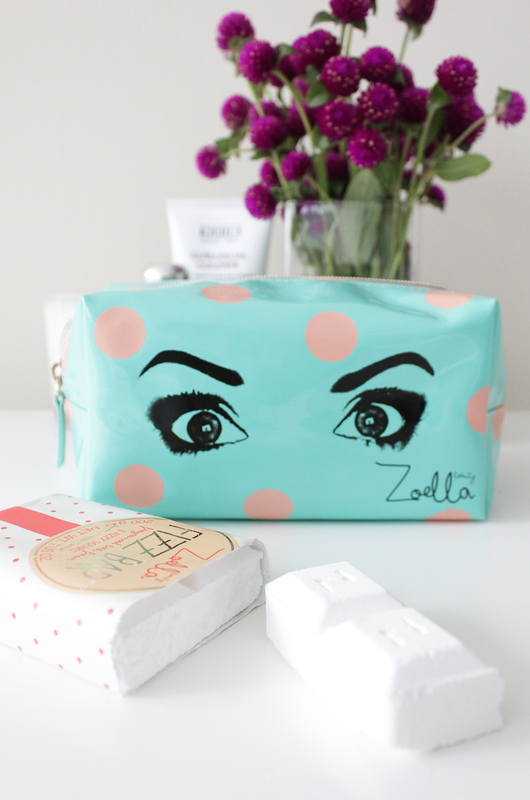 Have any of you snagged any bits from Zoella Beauty? Let me know in the comments below if you have or if you are planning to!